When: Friday, March 11, 2016 | 10:30 a.m. – 11:30 a.m. The Educational Administration & Leadership Program (EDAL, Department of Educational Studies), Indigenous Education, and the Faculty of Education Dean’s Office present a seminar by Professor K. Sujatha, Head, Department of Educational Administration, National University of Educational Planning and Administration, New Delhi, India. Tribes (Indigenous people) in India, who are also called Adivasis (Hindi for “original inhabitants”), constitute 8.9 percent (over 80 million) of the total population of the country and occupy the lowest levels in socio-economic development. There are more than 750 tribal groups with varied socio-cultural traditions. The Constitution of India envisages special measures for socio-economic development of tribes. Consequently both national and state governments have adopted several special policies and programmes for educational development of tribes. This presentation will cover several of these special policies and programmes — including residential schools — for the education of tribes, progress that is being made, and current issues and challenges. 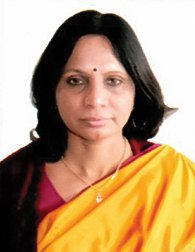 Professor Sujatha holds a PhD in Educational Anthropology from Andhra University. She has been a Visiting Fellow at New England Univesity in Australia and has consulted with UNESCO, UNICEF, the British Council, the UN Development Programme, and the UN Office for Project Services. She has authored eight books in addition to research papers and articles published in national and international journals. Her specializations include education of disadvantaged groups, educational policy analysis, comparative education in developing countries, and school management. This entry was posted in Events, Research and tagged assimilation, human rights, Indigenous Communities, Indigenous Education, Indigenous People, modern, Policy, residential schools.